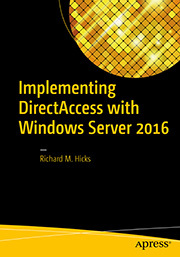 DirectAccess and Windows 10 in Action | Richard M. Hicks Consulting, Inc. Recently I recorded a short video to outline some of the benefits of using Windows 10 and DirectAccess. The video highlights common uses cases and includes a working demonstration of DirectAccess and Windows 10, both from the user’s and the administrator’s perspective. The video shows how users transparently connect to the network and seamlessly access corporate resources over the DirectAccess connection. It also shows how administrators can leverage existing system management tools such as the Computer Management MMC, PowerShell remoting, and the Remote Desktop Protocol (RDP) to manage remote connected Windows 10 DirectAccess clients. If you have any questions about implementing DirectAccess, integrating Windows 10 clients, or enabling outbound management, click here. Hi Richard, when a DA Client (windows 10) connects to a DA Server (Server 2012R2) it uses IPv6 address. where does the DA client get it’s IPv6 address from? The client uses the IPv6 Neighbor Discovery (ND) process to automatically configure an IPv6 for the link. 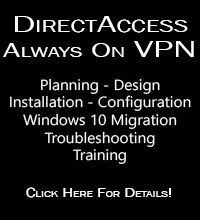 It uses information from the Router Advertisement (RA) that it receives from the DirectAccess server. 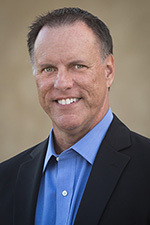 More details here: https://en.wikipedia.org/wiki/Neighbor_Discovery_Protocol.